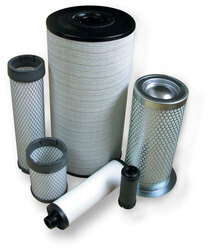 We manufacturers best quality and different types of Industrial filter which used in various application. 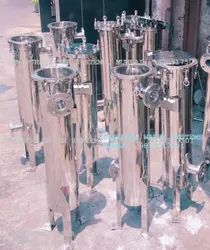 Filter Unit, Stainless Steel Duplex Filter, Stainless Steel Process Filter, Stainless Steel Sip-on Filter, Sintered Metal Filter, Stainless Steel Multi Bag Filter, Stainless Steel Multi Cartridge Filter, Sterilizing Filter, Disposable Air Filter, Pharmaceutical Filters, In Line Housing Filter in Mumbai, India. 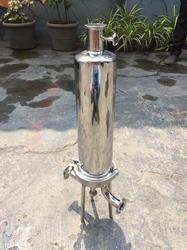 Stainless Steel Bag Filter Assembly come in various sizes and styles, and all serve as a bag filter housing. The bag filter housing covers are easily removed without special tools, and the bag is easily cleaned or replaced. 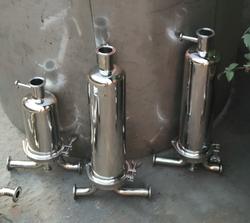 We are one of the leading manufacturer, supplier and exporter of Stainless Steel Disc Filter Housing in Mumbai, Maharashtra, India. Cartridge Unit is the most commonly used filter cartridge unit in the oilfield industry. This, offshore proof, skid-mounted filter unit can be supplied as a cartridge, bag or combination unit, equipped with all necessary valves and safety features. Filter Unit offers the most cost-effective way to clean-up all possible oilfield fluids. 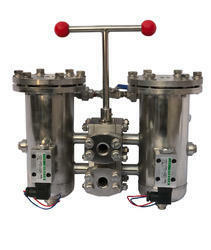 It allows you to simultaneously filter with one vessel and easily change the used cartridges. 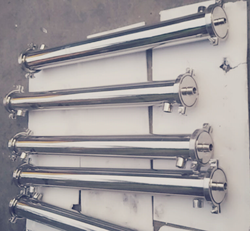 Pharmaceutical Filters, which we manufacture, are used for purification and filtration purposes of water, air, oils, and chemicals. This product is available at cost effective market prices. These filters can be customized as per the demands and requirements of our valuable customers. These products are highly appreciated for their low-pressure drops, simple design, low maintenance, and high functionality. Owing to vast experience in this domain, we are engaged in offering wide range of high quality In Line Housing Filter to our valuable customers. These products find wide range of applications in many industries for purification and filtration purposes of water, air, oils, and chemicals. 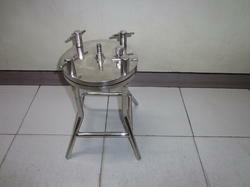 These products are known for their dimensional accuracy and compact design. These products undergo various quality assurance tests by our team of experts. Application Fine chemicals, food, water treatment. 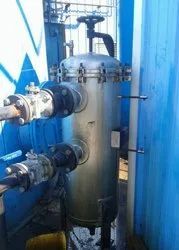 the best quality of Mineral Water, we design and install a turnkey system of Mineral Water Plants incorporating the equipment & components. We offer a single convenient source for all system accessories, including pre treatment, filtration, and disinfection of water. We are one of leading manufacturers and supplier of Stainless Steel Membrane Housing in Mumbai, India. 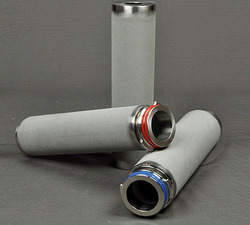 Stainless Steel sintered powder filter cartridges are recommended for the filtration of air or liquid at higher operating temperatures & corrosive environment. Sintered S.S. cartridges are produced by cold isotactic pressing, which gives high porosity to the material and also stability. They can easily be cleaned or back washed thus having longer shelf life. Sintered filters are able to withstand high differential pressure across the filters. • High mechanical strength & good integrity. • Good corrosion and thermal resistance. • No possibility of media migration. • Service life can be prolonged by cleaning and regenerating process. 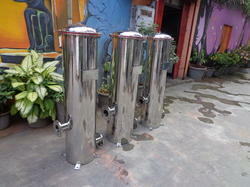 We are the leading supplier of the Duplex filters for water filtration. Du[lex Filtraion has a high dirt holding capacity to ensure uninterrupted flow in the hydraulic system. This reduces possible downtime alongside the easy to maintain and repair feature. Industrial Filters are one of the more recent of filter design, used to separate liquids to purify an application. 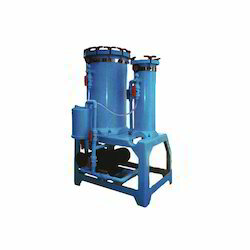 We are one of the leading Supplier of Sterilizing filter in Mumbai, India. 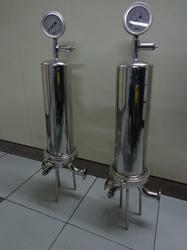 Sterilizing filtration is the most critical filtration process in any pharmaceutical or bio pharmaceutical operation. It may be performed in intermediate process steps to allow downstream processes to operate efficiently. Of course, it is done during formulation and filling to protect patients and your brand. 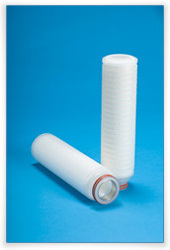 Sterilizing filters are made using membranes that perform according to established industry standards. For pharmaceuticals, filters that pass the ASTM International standard "ASTM F838-05 - Standard Test Method for Determining Bacterial Retention of Membrane Filters Utilized for Liquid Filtration" are designated as sterilizing filters.